Washington, D.C. October 10, 2017 – Ambassador (Dr.) Robin Renee Sanders’ new book on “The Rise of Africa’s Small & Medium Size Enterprises” (SMEs) is an insightful examination of the dramatic shift in the development paradigm for Sub Saharan Africa – driven in large part by the imaginative, innovative and insta-impact leadership of many of the region’s small businesses or SMEs. “SMEs have helped drive economic growth and aided in increasing the size of the Continent’s middle class,” Sanders says. The book will be featured in the prestigious Publisher's Weekly Magazine’s October 2017 issue, and was cited and ranked high by Top Link Publishers for its " analysis and research as a quality book on business development." The book's Introduction is by renowned civil rights leader, former United Nations Ambassador, and entrepreneur supporter Ambassador Andrew Young, and the Foreword is by Africa’s leading businessman, Mr. Aliko Dangote, who himself began his fortune by starting off as a young entrepreneur and remains an advocate for the sector. Former President George W. Bush upon receiving the book, noted its "thoughtfulness" and also thanked Sanders for her continued "work to improve lives" in the region. 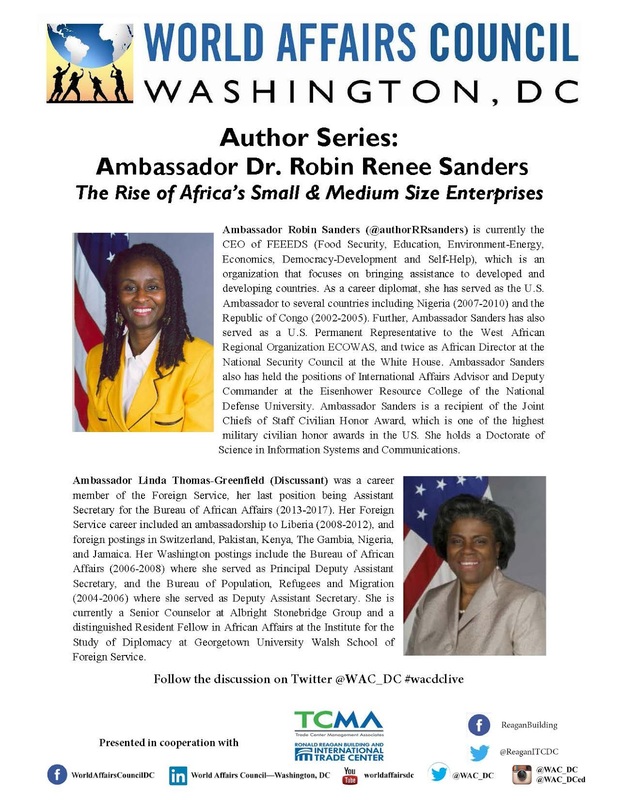 Dr. Sanders worked for Presidents Clinton, Bush, and Obama during what she described as the paradigm shift-change years of U.S. policy toward a more positive, partnership-based relationship with Africa; she also shares some related diplomatic vignettes in the book from those years, and has done a TEDxTalk on impact of Africa’s SMEs, https://youtu.be/fk-BONoNz9U. 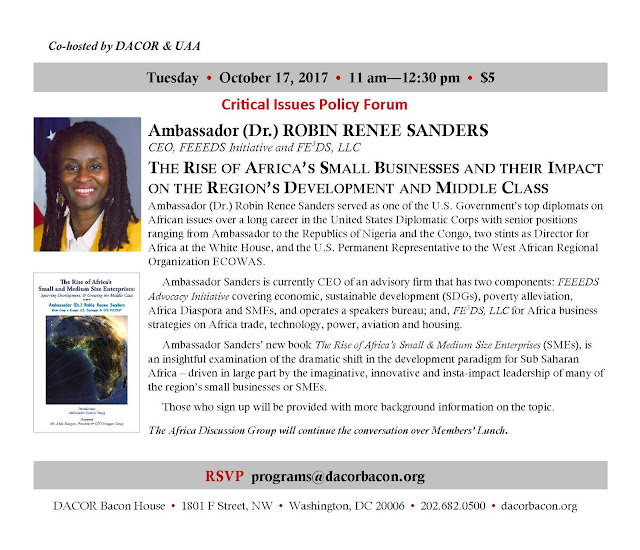 Author’s Bio Note: Ambassador Sanders served as one of the U.S. Government’s top diplomats on Africa over an extensive career in the United States Diplomatic Corps with senior positions ranging from Ambassador to the Republics of Nigeria and the Congo, two stints as Director for Africa at the White House, and the U.S. Permanent Representative to the West African Regional Organization ECOWAS. Dr. Sanders received her doctorate degree from Pittsburgh’s Robert Morris University in information systems and communications and is known as a thought-leader on Africa’s national security to its development, political and economic issues. 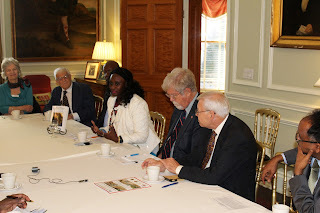 She has a particular focus on the SMEs, and the UN Sustainable Development Goals (SDGs,) the global international consensus document to combat poverty issues. She has testified before the U.S. Congress on many of these topics. Sanders is the recipient of the U.S. military’s joint Chiefs of Staff Award, the highest U.S. military honor given to a civilian; serves on the U.S. Trade Representative Africa Advisory Committees; is a member of the prestigious Academy of Diplomacy of former senior U.S. Government officials; is the recipient of the Presidential Medal of Honor from Congo; and has six Department of State Awards (Superior and Meritorious). 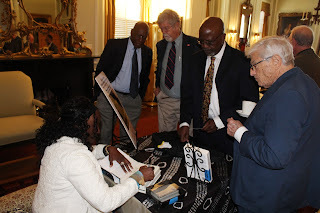 Sanders also is a Distinguished Public Service Scholar at RMU, has two Master’s Degrees (International Relations-African Studies and Communications) from Ohio University, and is a Visiting Scholar under the CIC Woodrow Wilson Program. 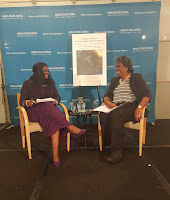 Her first book, The Legendary Uli Women of Nigeria, www.bit.ly/UliBook-SummaryPhotos, is also available on amazon.com. 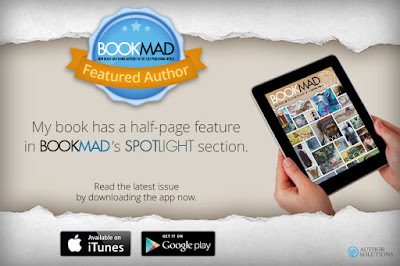 BookMad E-Magazine September 2017 issue - Spotlights Ambassador Sanders' new E-Book Version of her work on Africa Small Businesses. 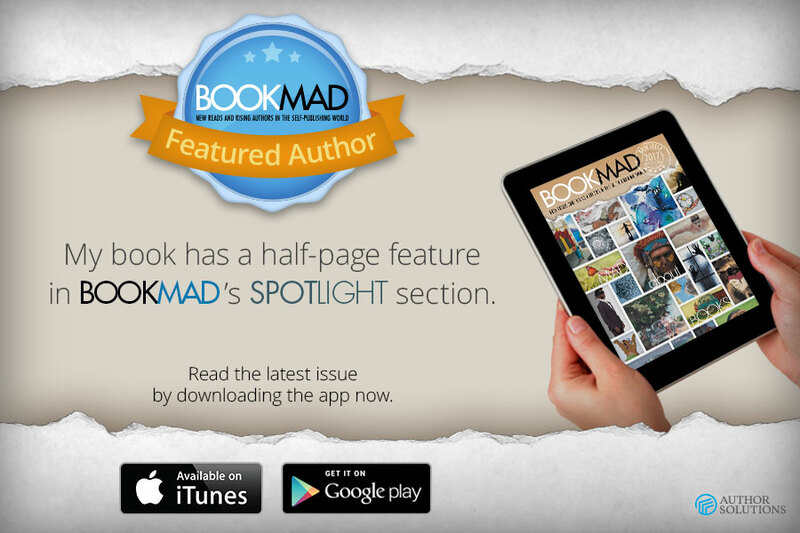 See page 11 of BookMad's September 2017 issue of featured e-books! ﻿﻿﻿﻿﻿﻿﻿﻿﻿﻿While development is ultimately the responsibility of each sovereign country, small and medium size enterprises (more commonly referred to as SMEs) within Sub-Saharan Africa are providing what Sanders calls creative business-aiding-development enterprises that are defining the region’s future and responding to its many age-old challenges with both new and appropriate (repurposing by-products of paper or plastic) technology solutions, according to Ambassador Robin Renee Sanders. Ambassador Sanders, a former top U.S. government diplomat who served as U.S. 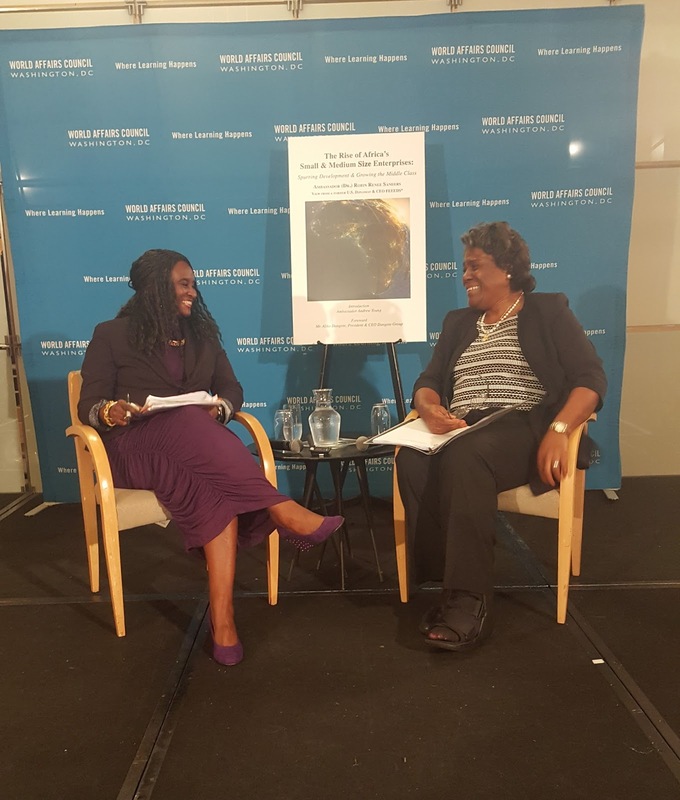 Permanent Representative to the West African Regional Organization ECOWAS, and Ambassadors to Nigeria and Republic of Congo, spoke at the Washington, D.C. area launch of her new book on May 11, 2017. The book titled “The Rise of Africa’s Small & Medium Size Enterprise; Spurring Development & Growing the Middle Class,” highlights the role small businesses are playing in not only aiding development but adding to the economic growth of the Sub Saharan Africa Region. The Washington, D.C. book launch was hosted by Gallup World Poll, with Allafrica.com as the event’s media partner. 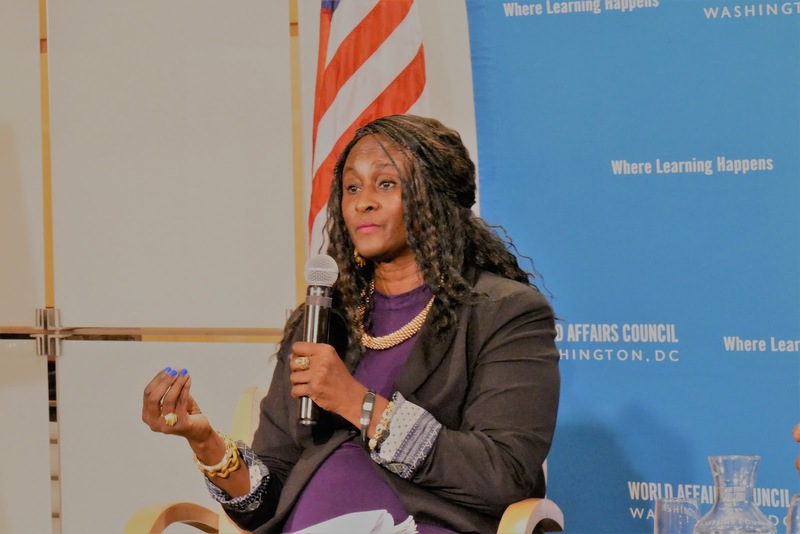 Sanders, who is CEO of FEEEDS, along with Gallup World Poll and Allafrica.com have partnered annually to cover key events on Africa over the last several years from policies to elections, to improvement in governance. In his opening remarks, Gallup World Poll Managing Partner Jon Clifton said, “The Africa small business story is one of the good news stories, and Gallup World Poll data helps to tell this good news story.” Clifton commented that in Ambassador Sanders’s book there are a number Gallup World Poll Datagraphs that helped add to sharing this all-important story of the roll today that Africa’s SMEs are playing, even in, or in spite of difficult or post-conflict environments in some cases. 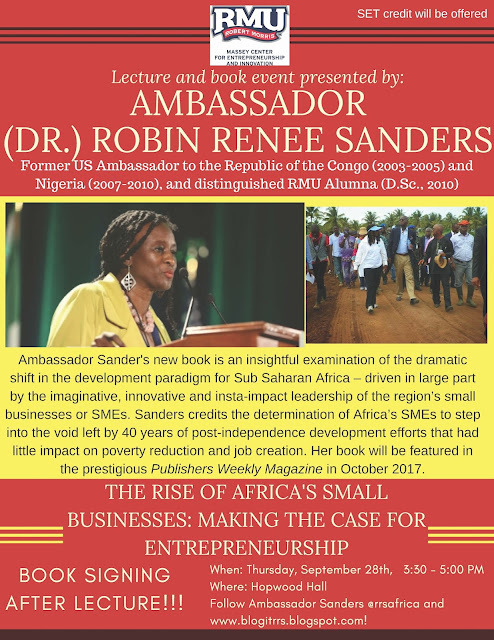 “The Rise of Africa’s Small & Medium Size Enterprises” discusses the determination of Africa’s SMEs to step into the void left by 40 years of post-independence development efforts that left very little impact on overall poverty reduction and job creation in the region. Some of the key chapters include a focus on recommendations on what donors, the African Union, African governments, and the new U.S. Administration can do to further assist Africa SMEs. The book also sheds light on the “China Factor” in the region and its efforts in the SME sector; serves as a resource-rich data source of not only what Africa’s SMEs are doing, but shares investment, foundation, and competition opportunities that Africa’s SMEs can take advantage of, and extensively covers what SSAfrica’s female entrepreneurs are achieving as well as they special challenges they face. 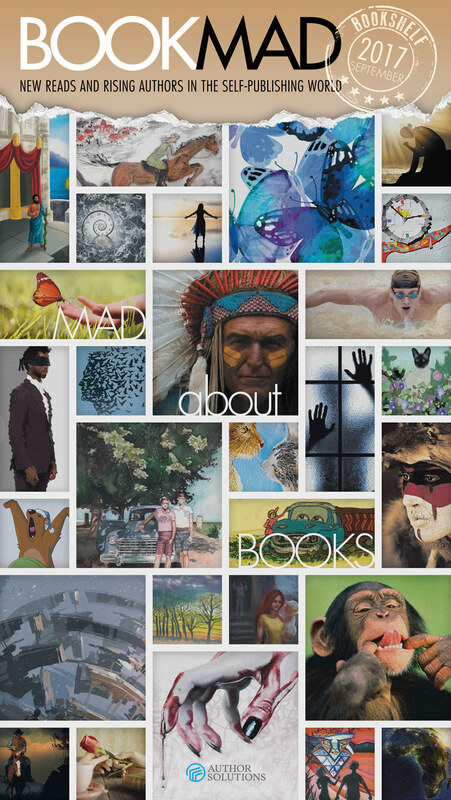 Other areas covered by the book include: special programs by the various African stock exchanges (e.g. Johannesburg, Kenya, Nigerian) for Africa’s SMEs, which helps them better understand as well as access the capital markets, the new role that other technology creative-use boosters such as 3-D printing and drones are adding to the mix of small business opportunities; and, Sanders highlights the top eight list or her TEL list of sectors where Africa SMEs are playing and could play more of role in economic development. 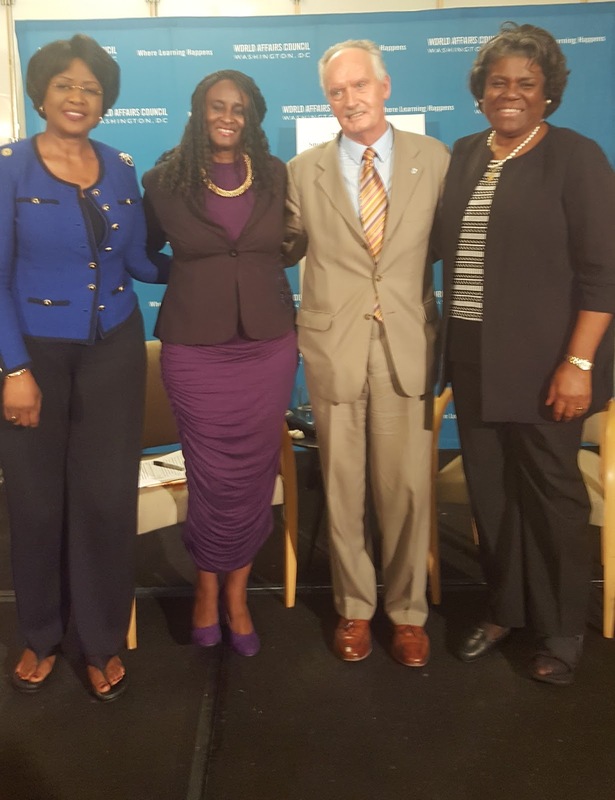 Participants at the event included former Assistant Secretary of State for African Affairs Linda Thomas-Greenfield, Ambassadors of Mozambique and Rwanda, Carlos Dos Santos, and Prof. Mathilde Mukantabana, and Economic Minister, Embassy of South Africa, Malose Letsoalo. Other key figures attending were Prof Kingsley Moghalu ex-Deputy Governor Central Bank of Nigeria, Eric Guichard, CEO-Homestrings, a leading Diaspora investment platform, representatives of UPAC, a prominent Africa Diaspora Business and Policy Organization, and other prominent members of the diplomatic community, think tanks, NGOs and academia from the greater Washington, D.C. area, New York, and Virginia.